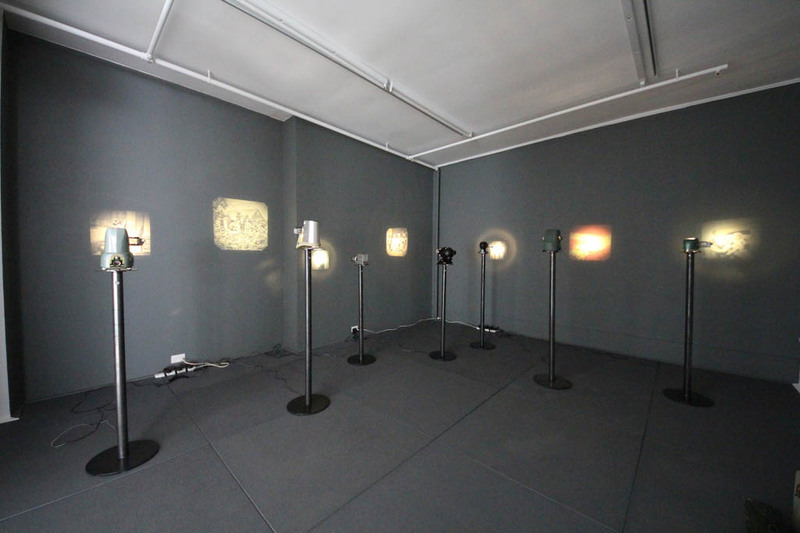 Multiple vintage slide projectors combine into a customized, physically-immersive installation into which the audience enters. Under interactive control a temporal sequence unfolds to inhabit and encapsulate the space, taking the audience on an evocative journey into the possibilities of memory. Anamnesis: the recollection or remembrance of the past; reminiscence. In philosophy, it is a concept in Plato's epistemological and psychological theory that he develops in his dialogues Meno and Phaedo, and alludes to in his Phaedrus. It is the idea that humans possess knowledge from past incarnations and that learning consists of rediscovering that knowledge within us. This ties interestingly to some of the thinking around epigenetics. 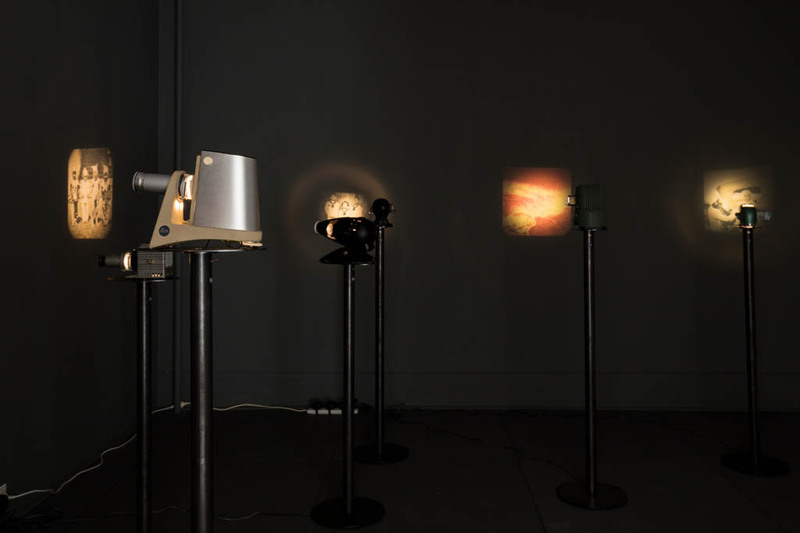 A selection of vintage slide projectors evoke personal family histories and address processes of memory in a more general way. 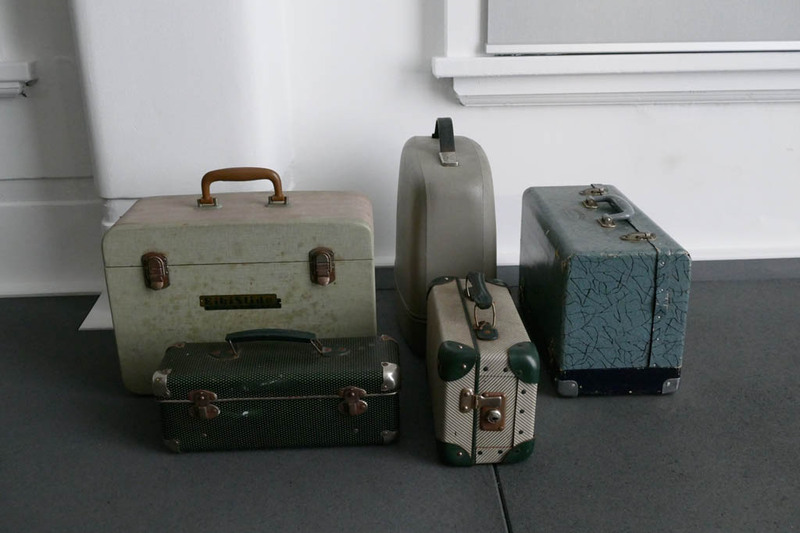 The objects of projection themselves - as industrially manufactured items from the first half of last century - evoke an analogue era now long-past. Notions of slide shows are cause for reminiscing family and educational presentations to a certain generation. The aesthetics of the images denote an archaeological or archival classification. Immediate cultural narratives are triggered. The very chemistry of film emulsion undergoes a relentless decomposition, just as human memory decays. 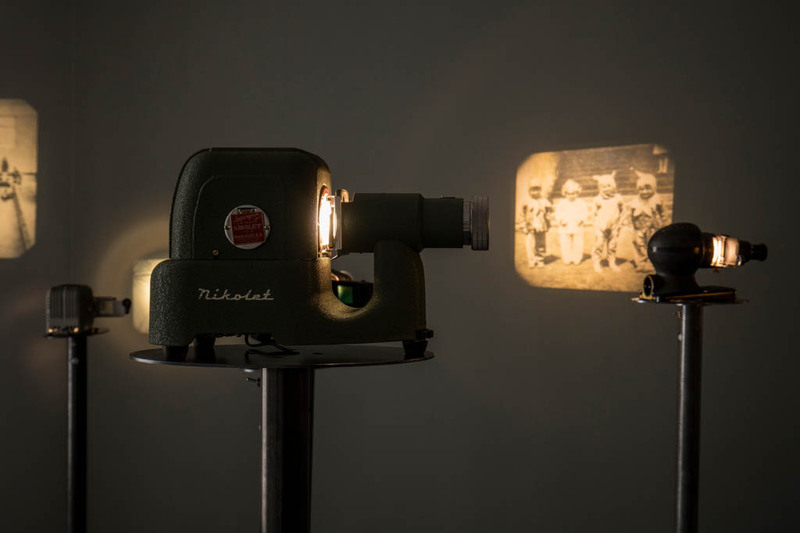 This is particularly acute when tracked across complex multicultural and multigenerational histories so common in relatively recently colonised parts of the world given that the work’s making was inspired by a small slide projector found in Ooty in Tamil Nadu, the city where my father was born. This work gathers these tangential ideas and personal histories and offers an immersive meditation on memory, redundant technology and imaging. Anamnesis from Tim Gruchy on Vimeo.